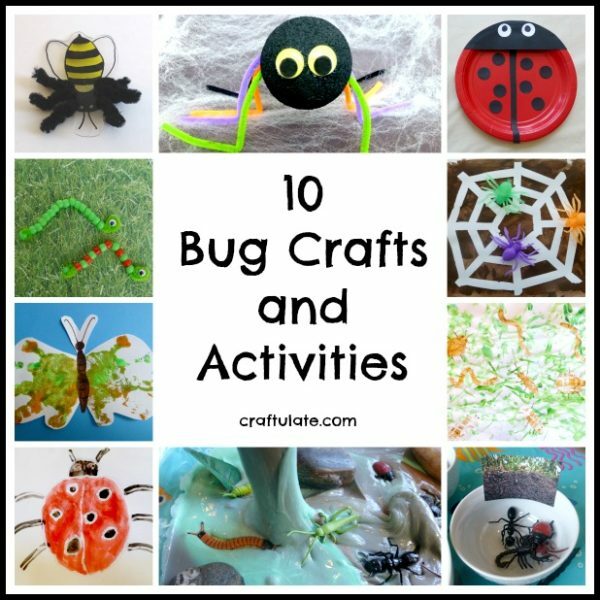 Here are some of our favorite bug crafts and activities! As part of our ABC of Animal Handprints, we included a spider, queen bee, butterfly and caterpillar! These cute bugs are made from upcycled plastic food containers! 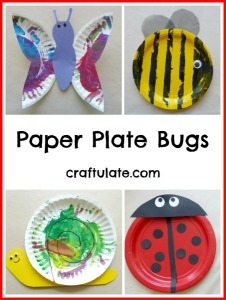 Everyone loves paper plate crafts! We made a snail, bee, butterfly and a ladybug! 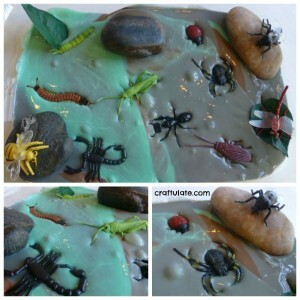 This ooey gooey bug slime was SUCH a fun activity!! 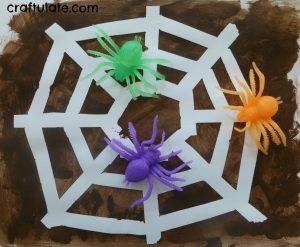 This spider craft is made from a Styrofoam ball and some pipe cleaners. 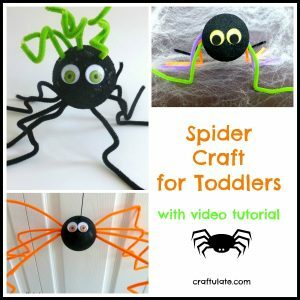 So easy toddlers can make it! And if you’ve made the spider, you’d better make it a web! We used the tape-resist technique to make this web. For our Habitat Sorting activity we included a lot of bugs as well as other animals! Use tongs for bonus fine motor skills practice! We used this fun technique to make pictures of ladybugs, butterflies, snails and caterpillars. 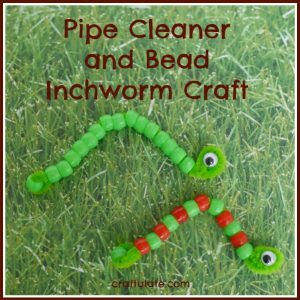 We used pipe cleaners, beads and googly eyes to make these super cute inchworms! I couldn’t resist including this super fun activity that uses little robotic bugs to make the artwork for you! Check out the VIDEO of these little guys in action! 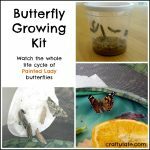 Want MORE bug and insect crafts? Check out my book!